Dishcrawl, a premise based on the ‘pubcrawl’ offers participants an opportunity to go restaurant hopping in one evening and experience a neighborhood like never before. 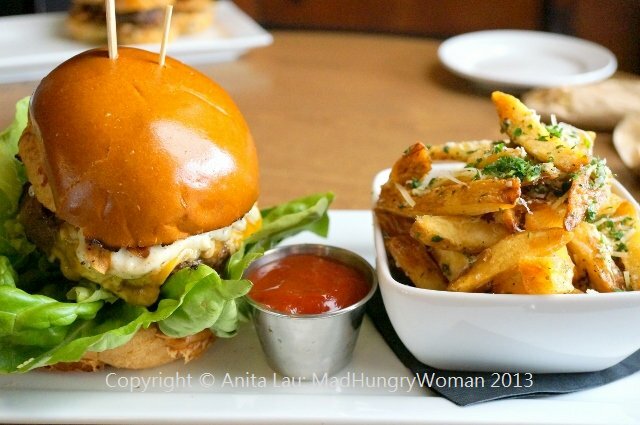 Since launching in Orange County, Dishcrawl has taken groups through Huntington Beach and Anaheim. The next city to be featured will be Fullerton. 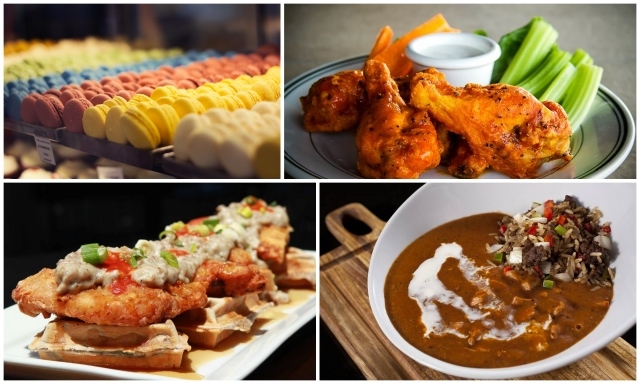 On Wednesday July 10th at 7pm, Dishcrawl Fullerton will take participants through its downtown area where four eating destinations will be experienced by all. What makes it even more unique is that the locations are kept a secret until a couple of days before the event, making it not only mysterious, but also, generate a little excitement among both locals and those from other cities. 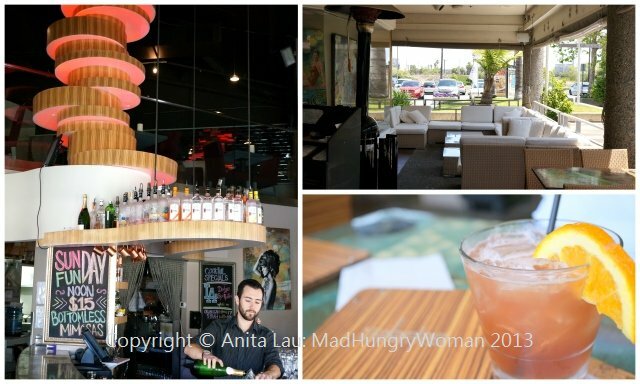 Here are some photos from previous Dishcrawls…..
Tickets are $45 but I have a pair to giveaway to one lucky reader. Leave me a comment with your FULL name and tell me why YOU should be the one to win these tickets. Entries close on Sunday, June 30 and a winner will be announced on Monday, July 1st. Good Luck!! 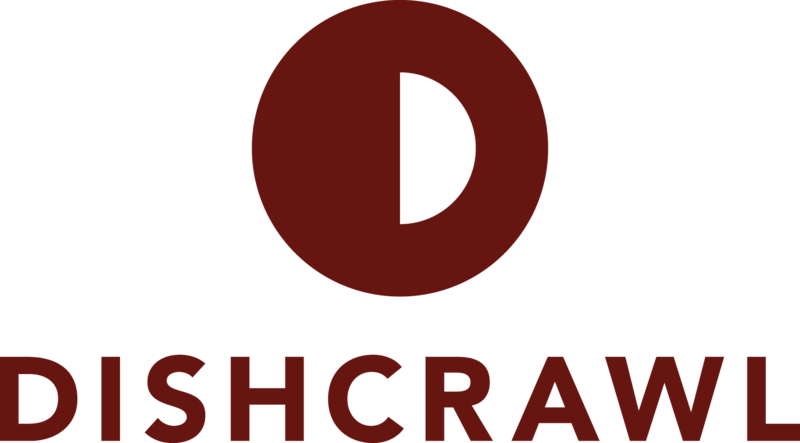 And if you want to purchase tickets, go to the Dishcrawl website by clicking here. I can’t believe it has taken me THIS long to visit Savannah Chop House. My first encounter with Chef Chris Tzorin was at the OC Fair last year when he was competing in a challenge I was attending. Then, I saw him at the Riviera magazine’s multi chef challenge at OC Mix where I sampled his offering for the challenge. 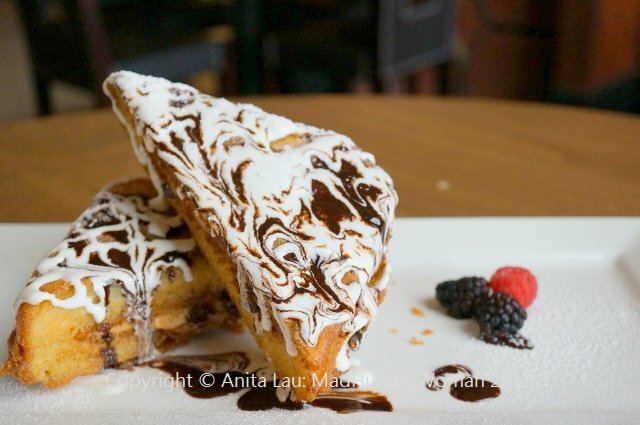 So now, a year later, I am experiencing a full meal by Chef Tzorin which began with Mozzarella in Carrozza ($7.95) an appetizer of grilled encrusted sourdough bread topped with tapenade and buffalo mozzarella. 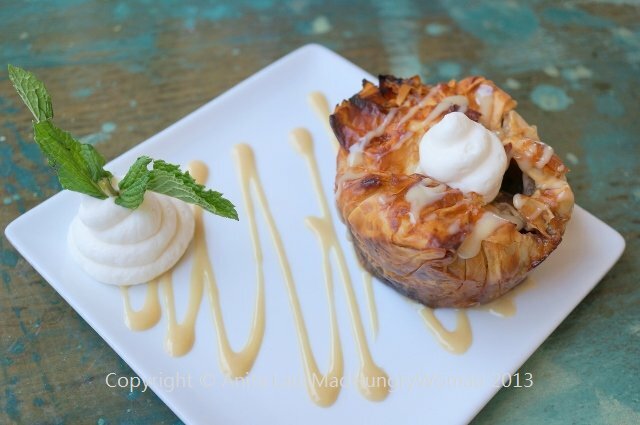 If you can imagine a mouthful of something luscious, yet light, this is it!! We wanted to try so many things and didn’t think we’d have enough room in our stomachs for everything so we asked Chef Tzorin to make an appetizer portion of the New Zealand Double Rack of Lamb ($29 entree size) for us to try. 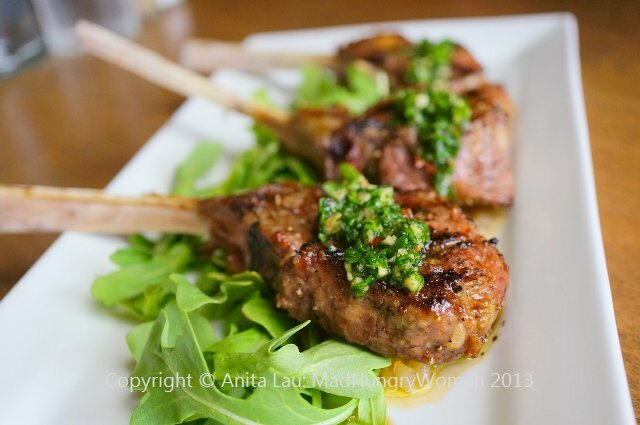 I love lamb and so does my son and we devoured them with relish. Tender, juicy, and so succulent. 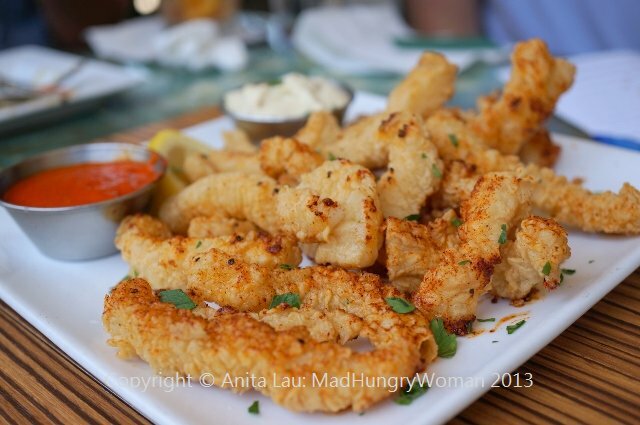 If you like seafood then there are several for you to try. 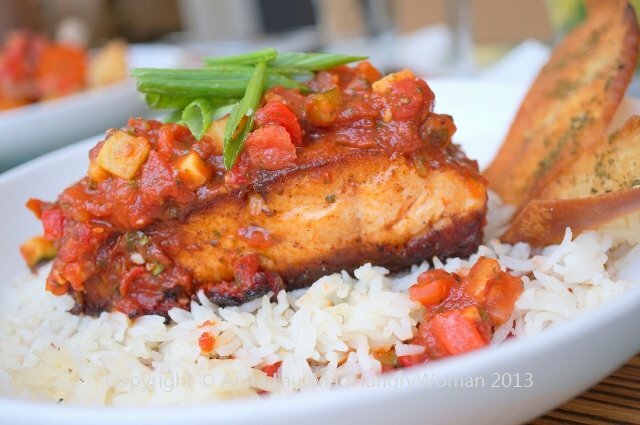 Grilled Local Sea Bass ($20.95) is moist, flaky and perfectly prepared. 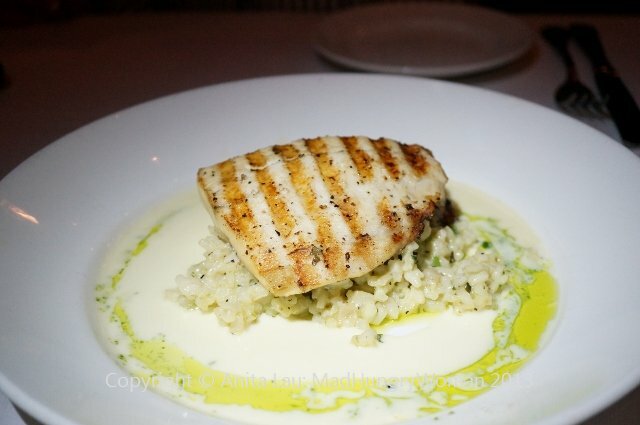 Accompanied by an herb risotto and drizzled with basil oil and light beurre blanc, this is one of those dishes which is tasty and not heavy at all, even with the sauce. 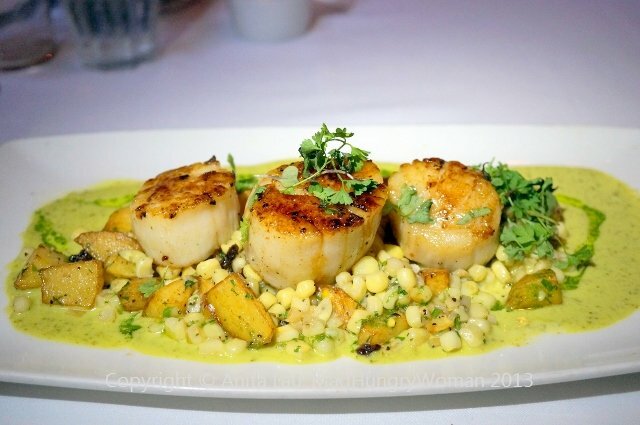 Another fantastic dish is Day Boat Scallops Brulee ($25.95). Huge U10 scallops tastes like butter and the goodness of the sea. Seared perfectly on both sides, the potato corn hash is delicious and the basil emulsion kicks it up yet another notch. Now comes the piece de resistance of the evening. 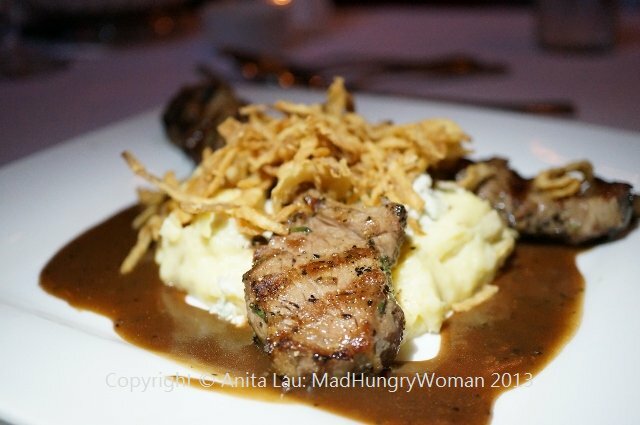 Believe it or not, the Filet Stroganoff ($19.50) was my absolute favorite! 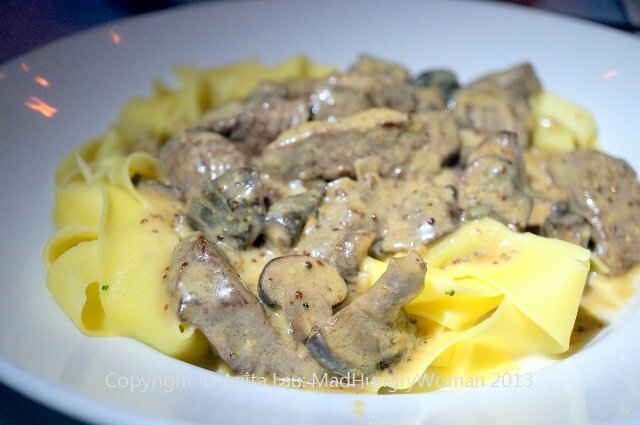 Tender filet tips, mushrooms and pappardelle are tossed in an outrageous brandy dijon sauce. I asked for more sauce because I’m just a glutton like that! SO SO SO GOOD!! I’m anticipating returning for this dish alone! It might be hard to find parking especially during dinner time, but valet parking is available for $4 so utilize this to avoid stress. Make a reservation too because it gets really busy! 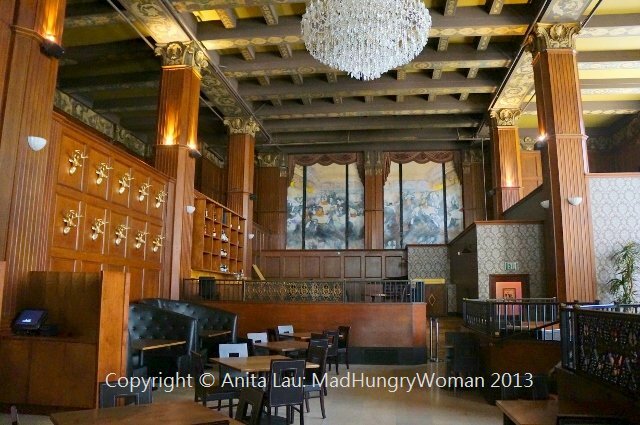 Kicked up comfort food in a really unexpected location! We started off with Ace of Spades ($10) — yes, tequila, my favorite! Avion Reposado, Birottet Creme de Mure, Lime and Agave Syrup make up this delicious cocktail. If I didn’t have to drive, I would’ve had a few more! 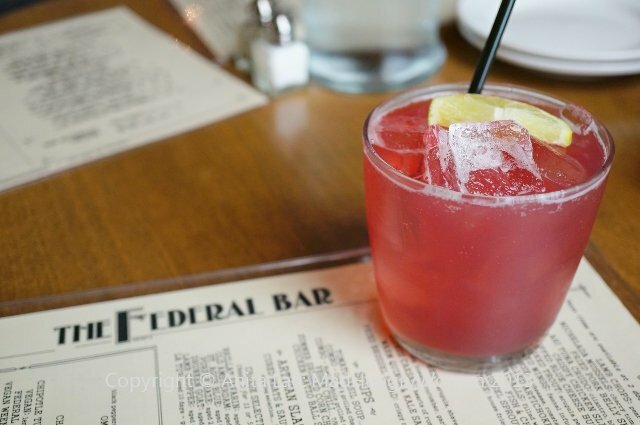 The menu is comfort-style, gastropub fare. Smoked Trout ($10) arrived on a wooden board with the trout in a jar. 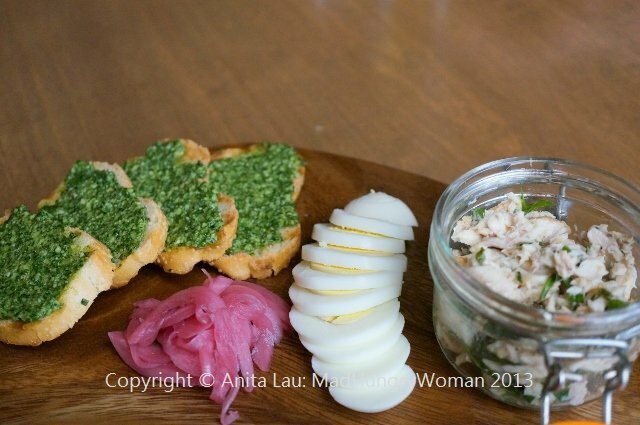 Arugula pesto toast, pickled onion and sliced hard boiled egg prettily arranged alongside. I absolutely LOVED this item. 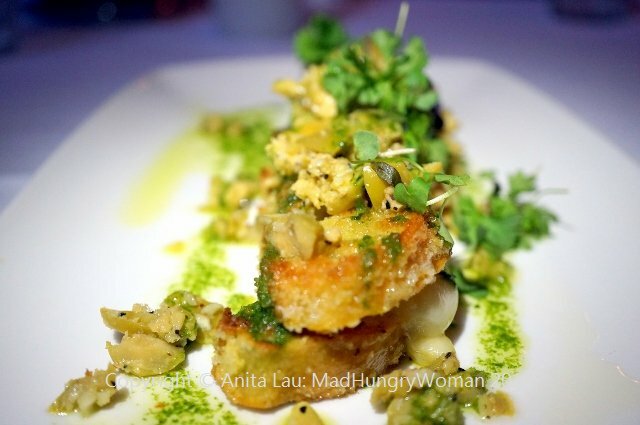 The smokiness of the fish, tartness of the onion and freshness of the arugula come together perfect. The Lamb Chops ($12) were absolutely amazing! Tender, juicy and seasoned just right, the pear mint chutney and chimichurri were ideal accompaniments, especially the chutney! What a unique and creative accoutrement to serve with lamb. 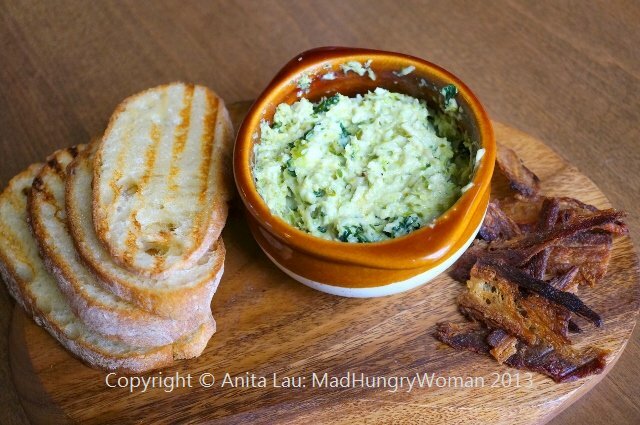 I love kale and I love Brussels sprouts so when we saw Kale & Brussels Sprout Dip ($9) it was a no-brainer. Served warm, it was cheesy but not gloopy and heavy. Served with grilled ciabatta and pork belly chips — another name for delicious bacon — no matter how you eat it, every bite was a joy. The dip warmed up really well the next day and didn’t separate and wasn’t oily at all. Crazy good. 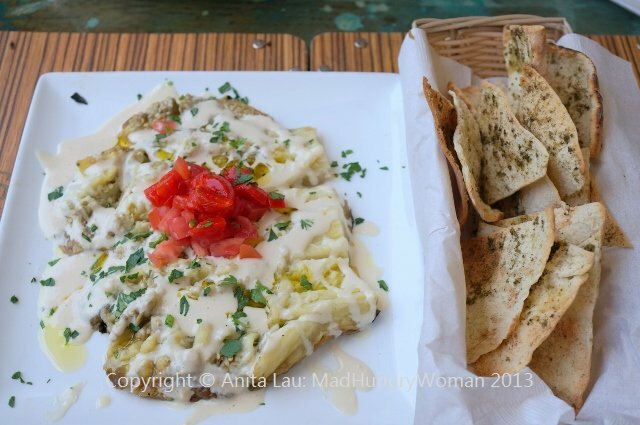 Who doesn’t love Mac N Cheese ($10), and the one here is pretty damn good. Three cheese with roasted poblano peppers, the texture was perfect, not too wet and not too dry. 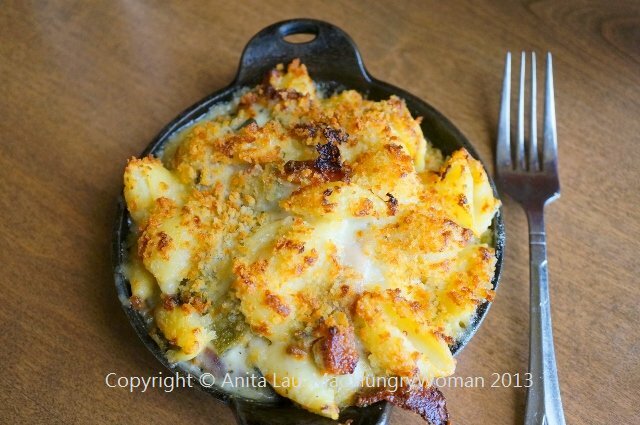 Kick your mac n cheese up a notch or two by adding bacon or short rib. Comfort to the max. The Federal Burger ($11) is topped with smoked cheddar, bibb lettuce, black peppercorn aioli, balsamic onion and sandwiched between a brioche bun. Loved the interior, wasn’t a big fan of the bun. Served with garlic chips, I couldn’t believe how reasonable this item was! 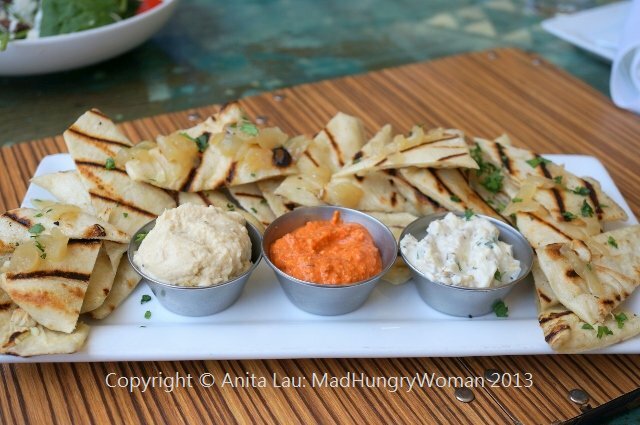 A really good portion for only $11! We finished with Sweet Bacon Cristo ($8), a sweet, gooey sandwich which I really enjoyed. Chipotle peanut butter, chocolate and drizzled with marshmallow fluff — a first time for me — and it was pretty good, but only a few bites for me! A really great experience with good food within a beautiful environment. Definitely a winner for the city of Long Beach! 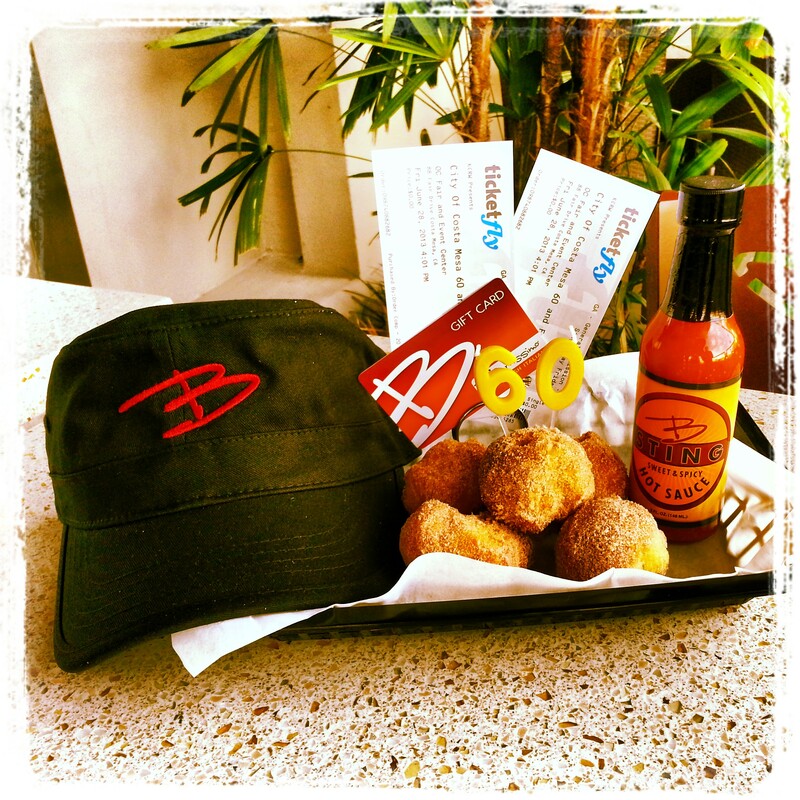 A FREE order of Birthday Zeppoles with minimum purchase ($7 minimum). Use your OC Tastefest 60th anniversary concert tickets on June 28th at 4pm!! Leave me a comment and tell me why you would love to win this awesome gift pack. Entries end Thursday 20th! Winner announced on Friday 21st! Good Luck! I’m on a Mediterranean kick first with Sababa on Tuesday, and now, The Kebab Shop in San Diego. Years ago, I visited the original location of The Kebab Shop in downtown San Diego (found it on Yelp) and remember absolutely loving it. This time, I went to their latest location in Mission Valley and was surprised to find that this is the 6th store!! This location is in a convenient spot, across the street from Macy’s Home Store at Mission Valley mall and gets good traffic during lunch time! I loved the spits with the meats roasting away in the back. 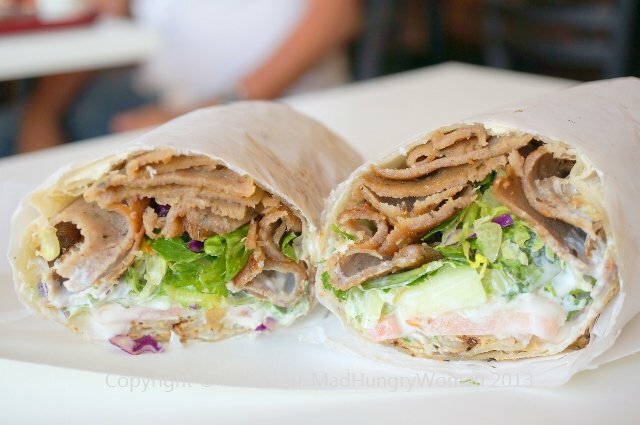 We managed to try a lot of things like Lamb Doner ($6.99), a nice wrap using flatbread which isn’t overly thick. The meat was moist and flavorful and the combination of the lettuce, tomatoes and sauce was absolutely delicious! And so reasonable! 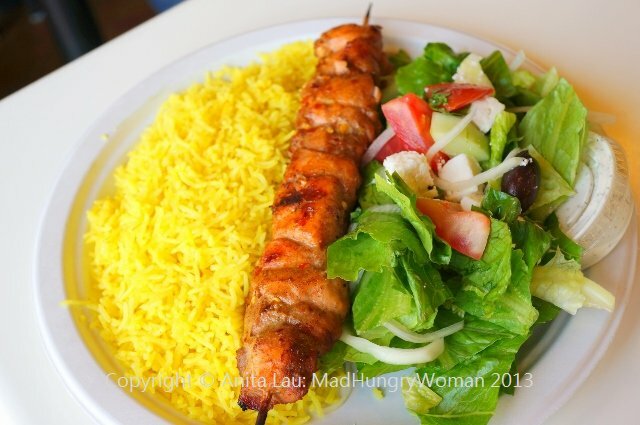 The Shish Kebab Plates are also awesome and comes with a salad and a side of fragrant basmati saffron rice. 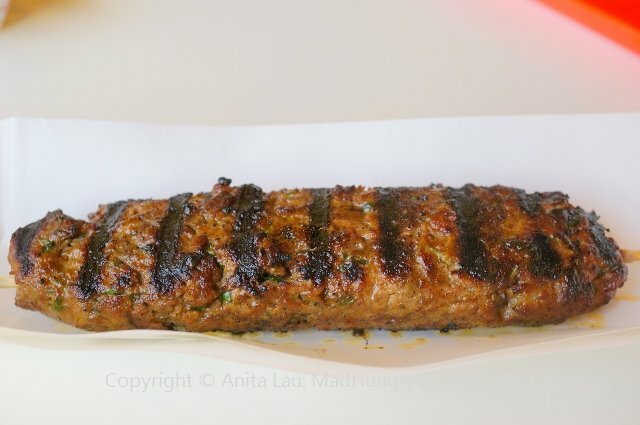 Salmon Kebab ($10.99) is seasoned well and great for those who are not wanting meat. Meat lovers can opt for the Beef Kofte ($9.79), so perfectly seasoned and juicy. 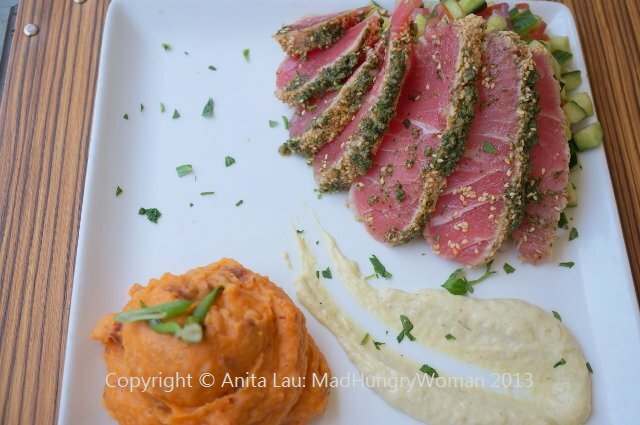 A side of dill sauce is served alongside and it goes so well with the meat. 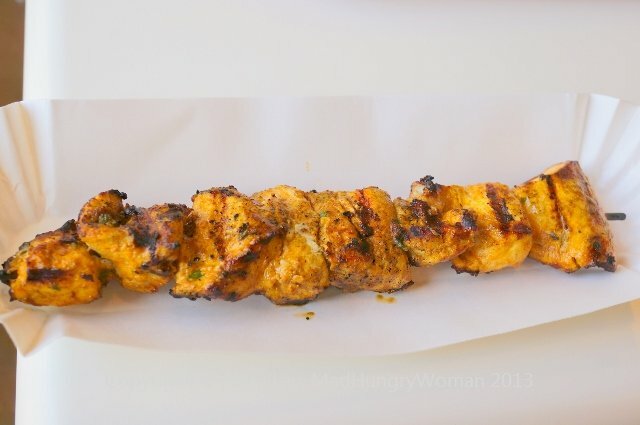 You can also choose Chicken Kebab ($9.79), chicken breast, again, nicely seasoned and very flavorful. 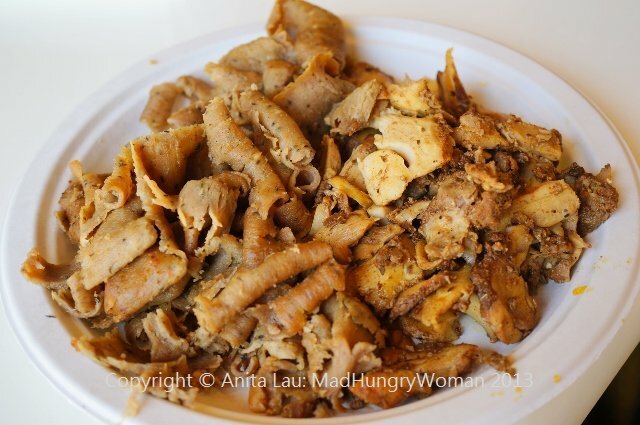 There is nothing worse than under-seasoned meat and you will definitely not find that here. If you didn’t want a skewer plate, then there are rotisserie plates with lamb, chicken or falafel with one hot side and one fresh salad for only $8.99. We had enough sides so we just sampled the meat (lamb to the left and chicken to the right). 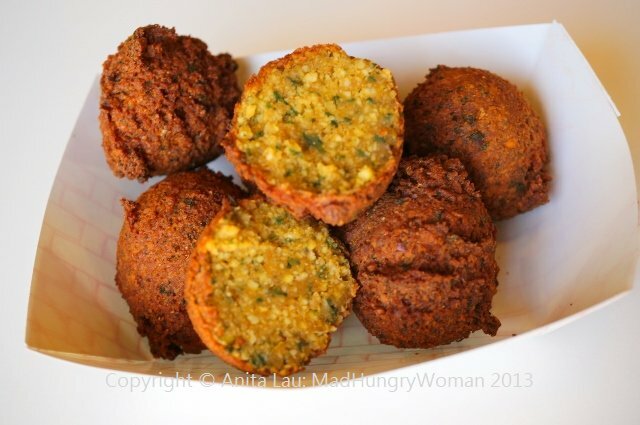 I love Falafel ($2.59) and the ones here are light, not greasy and a great choice for vegetarians. 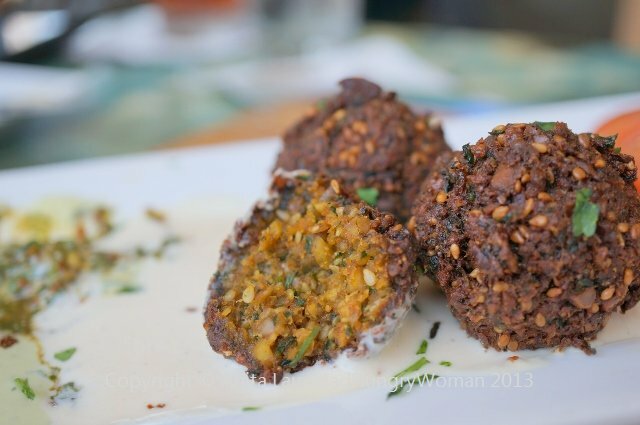 I always like to try falafels at a Mediterranean/Middle Eastern restaurant because it is actually not easy to create a well textured falafel which doesn’t end up dense and heavy. They have lots of Fresh Salads ($3.99/8.99 for 3) — nine of them! Ideal accompaniments to go with your meal or just as is. 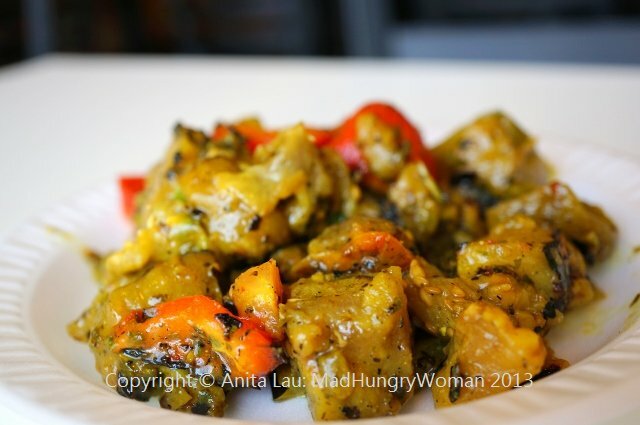 Algerian Eggplant — tender pieces of eggplant with strong flavors including cumin. 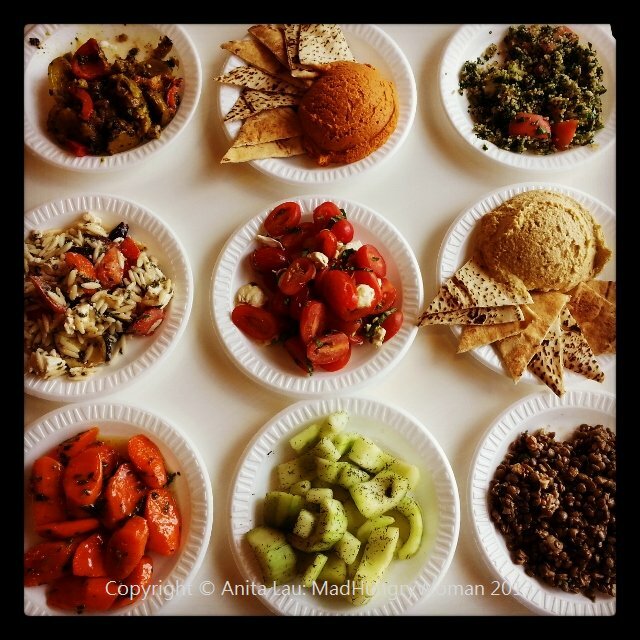 Even my friend who I didn’t think liked Tabouli loved it. 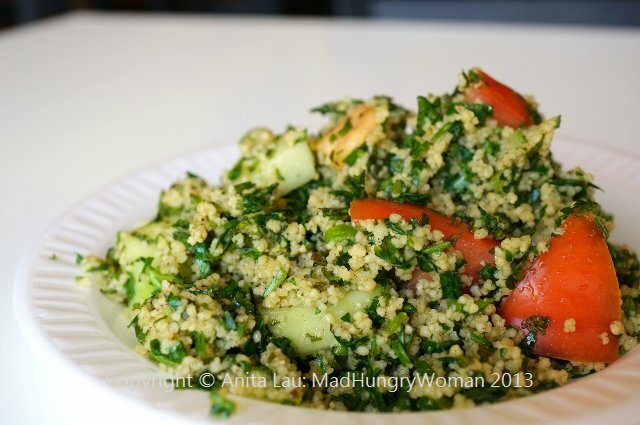 The parsley salad was finely chopped and very fresh! 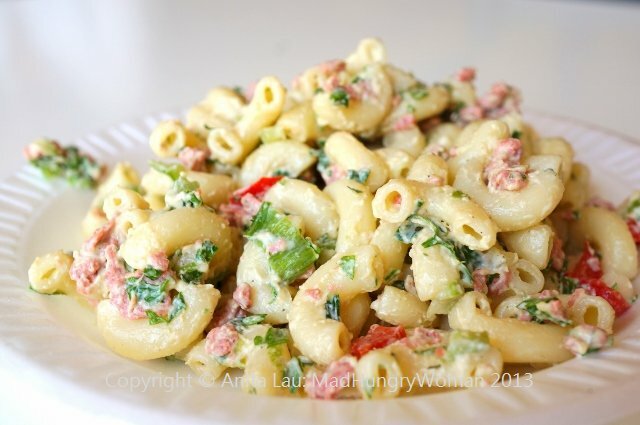 The most surprising item was the Macaroni Salad. It was so delicious I couldn’t stop eating it. Don’t laugh, but it had bits of imitation bacon in it, and I really think that’s what kicked up the flavor! Fast, casual restaurants are the “in” thing these days. You get high quality food at a fraction of the cost and you’re out the door really quickly. I wish we had one of these here in Orange County. 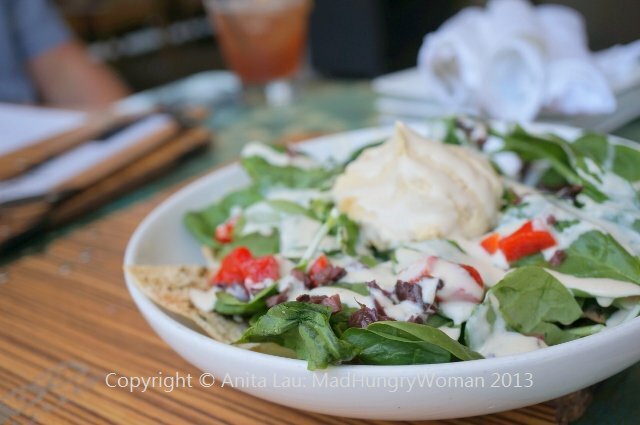 There are lots of Mediterranean/Middle Eastern restaurants around but a fast casual place serving such deliciousness is lacking! I would love one in the strip mall down the street, I’d be there all the time! 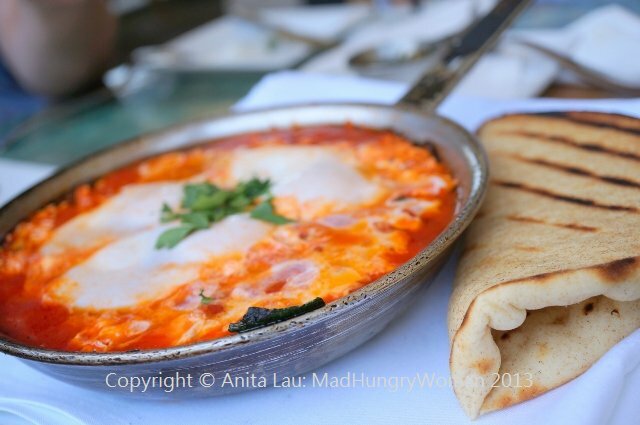 In fact, I’m salivating just writing this post!